Tired of hearing from us? Simply unsubscribe below, we won’t be offended. 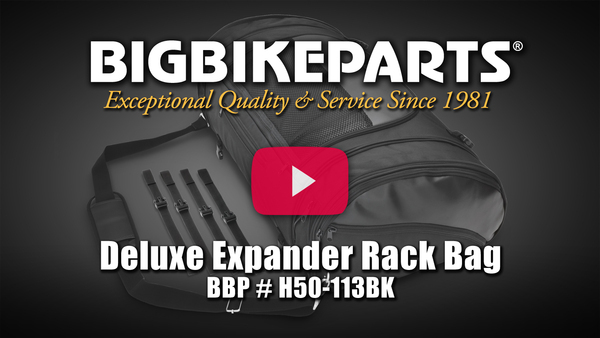 Rice Lake, WI – Hopnel™ sewn products introduces their generous 3500 Deluxe Expander Rack Bag that easily secures to most luggage racks. The main compartment measures over two cubic feet of storage space with a reinforced body providing consistent packing space and durability. 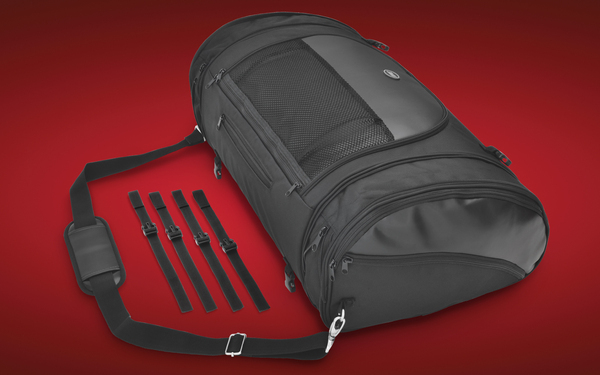 The large 22’’ x 15’’ x 9 ½’’ main compartment has zippered expander pockets on each end, providing an additional 5’’ of extra storage space. The bottom is reinforced with a no slip textured surface, ensuring your luggage stays in place for long term use and wear. Includes a top 15 ½’’ x 6’’ convenient zippered mesh pouch and two more end zippered 13’’ x 6’’ pockets. A tethered all weather vinyl coated rain cover can retreat to its own zippered pocket when not in use. Comes with four hold down fastener points with quick install straps to allow fitment to almost every motorcycle luggage rack. Comes with convenient shoulder strap.